Get a head start on winter this year by using us for all of your commercial Bethel snow removal needs. We have been proudly servicing the Bethel community and helping businesses with all of their snow removal needs. For years, we have been the most responsive and highest reviewed Snow Removal Company throughout Bethel. Whether you need a onetime service or seasonal attention, we will be able to meet all of your needs. You can easily reach us at 203-702-4480. You never know when the next snowstorm is going to hit. When it does, it’s important that you know who to contact to help you clear the snow out. We don’t lock you into contracts. Instead, you can simply contact us for our services at your own discretion. We can work with you to coordinate the times that you would like us to arrive and start clearing your driveways, parking lots, sidewalks or anything else that needs our attention. If you run a business or you know you will be using us often, we recommend our seasonal services. With our seasonal services, you will be first on our list to tent to any time a snowstorm hits. You will not have to wait for our trucks to become available even in the most difficult conditions. Instead, you will be on our list to service as soon as possible. This service is perfect for businesses that need their lots cleared as soon as the snowstorm hits. We offer a variety of services to accommodate all commercial needs in Bethel. Below, we will go over the specific services that we offer to the businesses of Bethel. 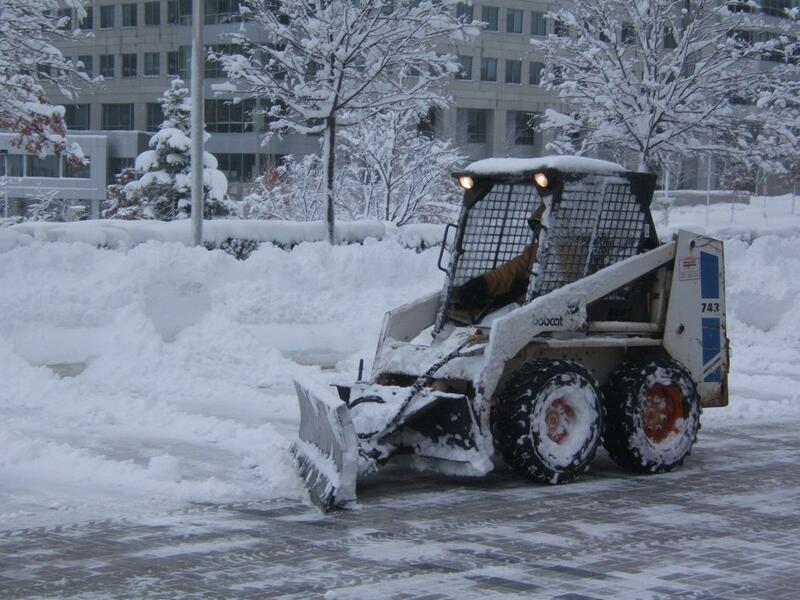 We can clear large spaces quickly using our plowing trucks. This is perfect for clearing out your driveway or parking lot early in the morning before the work hours start. We can also salt the pavement to prevent ice from accumulating throughout the day. This is critical to ensure that cars can drive into and out of the parking lot safely through the end of the day. Sometimes, snow can pack too heavily on top of a roof. Depending on the moisture levels in the snow, heavy buildup can jeopardize the structural integrity of your roof. If that’s not enough, it can also cause snowdrops to fall from your roof, endangering people passing by below. We can remove the snow from your roof to prevent this from happening. Sidewalks receive the most foot traffic. Whether you have a commercial property, it is important that you keep your sidewalks clear so that people can walk through them. We can provide sidewalk snow removal for your home or business so that you can stay warm inside and keep your sidewalks safe.